The perfect solution for limited kitchen space; you can use these boards to prep, carry, and serve your meal. Choose an option9" × 7.5"14" × 7.5"
Get your hands on one of these and you won’t want to put it down. Epicurean Handy Cutting Boards have handles which make it easy to move food from your kitchen counter to your dining table. Prep, serve, and eat from one board; a study in efficiency. These are prefect for those of you with limited kitchen space. 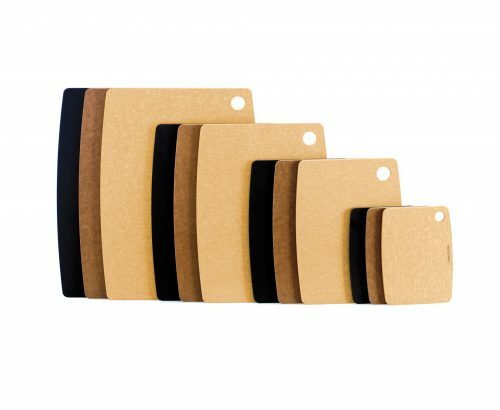 The Handy Series boards are made using 1/4 inch material.